“…And he told them this parable: “There once was a person who had a fig tree planted in his orchard, and when he came in search of fruit on it but found none, he said to the gardener, ‘For three years now I have come in search of fruit on this fig tree but have found none. So cut it down. Why should it exhaust the soil?’ He said to him in reply, ‘Sir, leave it for this year also, and I shall cultivate the ground around it and fertilize it; it may bear fruit in the future. If not you can cut it down. '” Our Gospel, on the Third Sunday of Lent, proclaims again some important lessons. It certainly underscores the patience that God has with us…giving us the time we need to grow and change. It also challenges us to remember that the Lord expects us to bear abundant life and fruit for the glory of God and the good of God’s people. 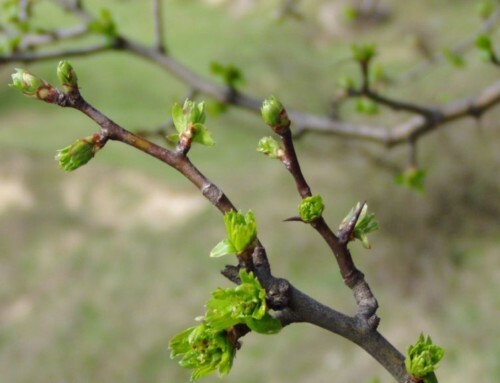 As we enter into the Spring season and watch ‘nature’ come to life again, let it remind and challenge us to use the Lenten days to prune, nurture, and water our spiritual life so we can be alive in Christ….and produce abundant goodness for the Lord. 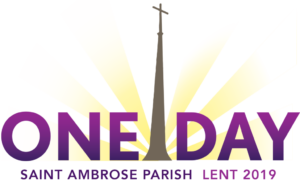 …As we enter the mid-point of Lent, what are those Lenten practices and commitments we made on Ash Wednesday? How are we doing? 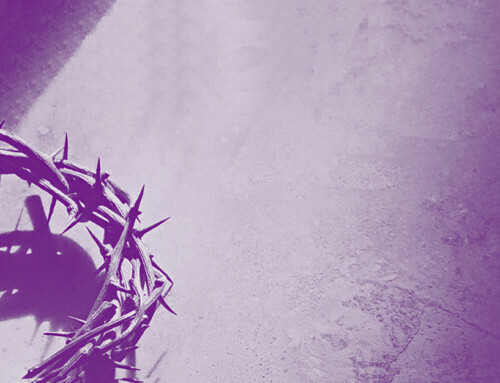 What do we need to do to make sure we use these Lenten days to grow in the ways of the Lord? …Many have made use of the Percorso Promise Lent APP. It lets you develop your own spiritual workout plan and provides a daily reminder, along with some good spiritual nourishment for you, to reflect on each day. If you haven’t yet downloaded it, you can get it on both your Apple and Android phones – Percorso Promise. Percorso means ‘path’ or ‘route’ to a stronger spiritual life. …The students of Saint Ambrose School are working hard this Lent to be ‘serious’ about making use of their Lenten Rice Bowls. They are challenging each other to make as many sacrifices as possible to collect as much ‘change’ as possible. The goal is for all of us to make Small Change that will make a big difference in the lives of those we care for in our mission community. If we all work together….this Lent…we can provide a house (or two) for our sisters and brothers in need in our mission. …While the Gospel speaks of trees and trimming, a few months back I shared with you that we needed to cut down the trees on Pearl Road because all but one was diseased and dying with branches breaking off. We removed the tree in front of the school for the same reason. In front of Hilkert Hall, we will replace/install some new sidewalks which will make it easier for you to get into the Hall. Many of you have long asked for a walk from the parking lot right into the hall….soon and very soon! …Many thanks to our Fish Fry Team for their great efforts on Friday night. We’ve had GREAT crowds who are enjoying fresh, flavorful, and hot food. All the proceeds from the Fish Fry will address the new sidewalks and landscaping in front of Hilkert Hall. Come for a great meal and good friendship every Friday for the remainder of Lent. …Our Lent Soup Supper continues this Thursday and next week as well. The theme for this year is Generations of Faith and Family. How do we pass on what matters most from one generation to the next. Father Rob will speak this Thursday and Dr. Iezzi will join us next week at 6:00 pm in the Mother Teresa Room. All are welcome. GREAT soup and INSPIRING food for thought. …Our Lent Mission this year focuses on Liturgy and those who serve and assist when we gather for prayer at the Table of the Lord. On Sunday night, we welcome Father Andy Turner to join us and share some good spiritual food for thought on the “Table of the Lord” – what happens when we gather for Mass. On Monday – Tuesday – Wednesday, we are asking each of our liturgical ministers to come and be refreshed and trained as we prepare to return home to the Church. Please join us Sunday at 7:00 pm. …We are making great progress in the Church. There’s a new construction update video online and Facebook. We are hopeful (moving to confident) that we will walk into the Church on Easter Sunday! God bless you for all you goodness. Special thanks, too, as a few more members have made a gift and a pledge to the Church project. We need your continued support both in terms of the Building Fund and Sunday collection. Thank you. Watch for the exterior work to start – parking and sidewalks – as the weather warms up. …Amanda McCrary and Lisa Beckett are a blessing beyond words to our parish community. They help coordinate our Cleaning Angels to take care of the Church. We are in need of at least six people to help for 2 hours a month to clean the Church – to take care of God’s house. There’s flexibility as to week and time. All of us working together will make sure God’s house is well-kept and cared for. If you can help two hours a month (or more if you want), please contact Amanda at ajmm18@aol.com. Thank you. Many hands make for light work. …As we enter into spring, summer can’t be far behind. Dawn Hill and Lisa Cinadr are working hard to have the best Summer Camp program for our community. They work hard to make sure that the children who spend their summer days are well cared for with meaningful activities. For more information, please contact Dawn at dhill@StASchool.us. 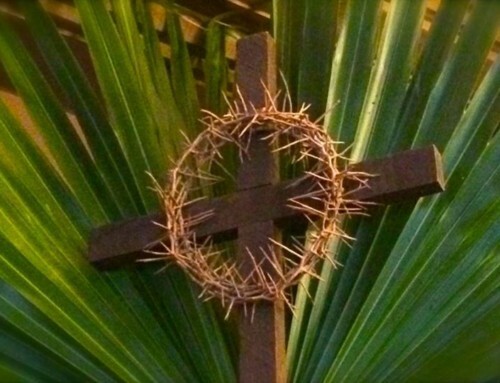 …The word on the street is that the Lent 1.3 groups are having great discussions – meaningful conversation – on the scriptures and connecting faith and life. Thanks to the group leaders and the 500+ people involved in our faith sharing groups this Lent. …Spring is in the air and so is the Summer Festival! Many thanks to Bill Coyle and our friends at Encompass the World / KHM for providing one of our raffle prizes. You can go to Disney!!! Watch for all the details coming soon. …Thanks to our friends at Hooley House for an amazing Corned Beef Sandwich sale which supports our Catholic Works of Mercy outreach ministry. We are blessed. …In these spring days, reflect on nature coming to life. 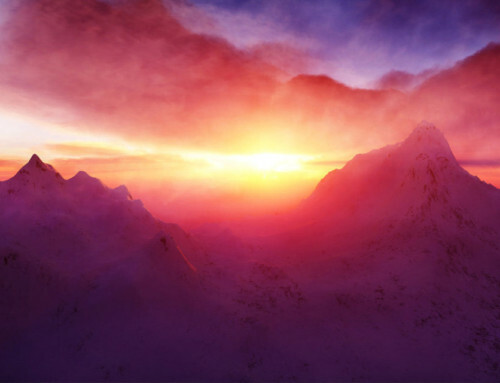 How can we use these days to come more fully alive in Christ so ONE DAY we can all get to heaven? Have a blessed week.